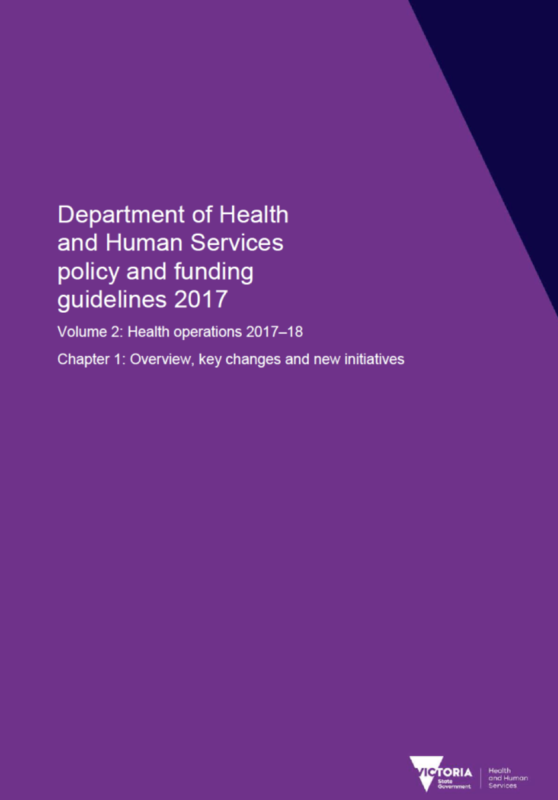 The Victorian Department of Health of Human Services Policy and Funding Guidelines 2017/18 outlined expectations to support joined up approaches to population health planning and implementation. These expectations applied to health services, community health services, local government, and Primary Care Partnerships. The Primary Health Networks see this as opportunity to advance understanding of and responses to local community needs. Considering PHN boundaries, the six Victorian PHNs will inevitably collaborate with a number of partners to undertake population health planning and implementation efforts. i. There will be nominated contacts available at each of the PHNs to support joint population health planning efforts (see key contacts). ii. There is merit in utilising local governance arrangements which may support collective planning and oversight. It is noted that there are several existing structures in place supported by the PHNs. i. There is a need to map out organisational population health planning and reporting cycles, and explore opportunities for achieving alignment where possible. ii. The PHNs have prepared publicly accessible versions of Health Needs Assessments and Activity Work Plans. These experiences may inform the development of a single catchment report. i. Qualitative data and qualitative insights are foundational to evidence-informed population health planning. There is the potential to further pool contributions of existing data to build further depth of understanding of need. ii. There is merit in exploring opportunities to leverage community consultation for shared interests. PHN boundaries are available here and a concordance file contains further details.